One of my favorite things to do make are vegetable chips. They’re so easy and really satisfy that crunchy crave I always get. All you really need to do is thinly slice any vegetable, root veggies work best though, toss in olive oil and sprinkle with some spices. 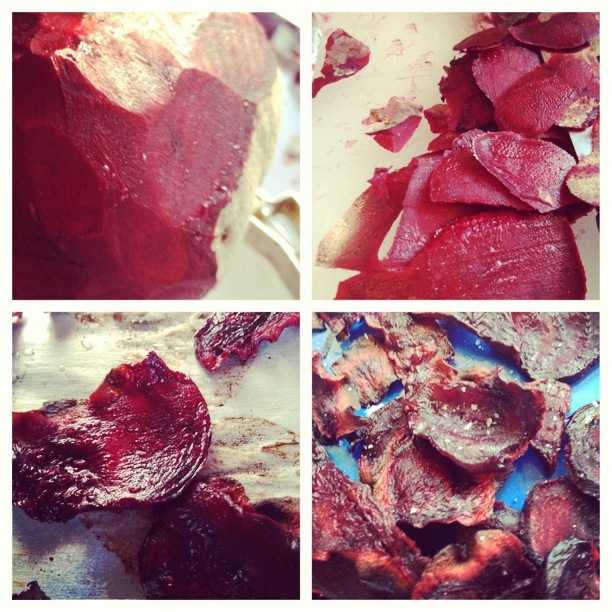 I recently made beet chips and they went fast. Time for another batch! Happy cooking! Thanks! They really were 🙂 and soooo easy to make.